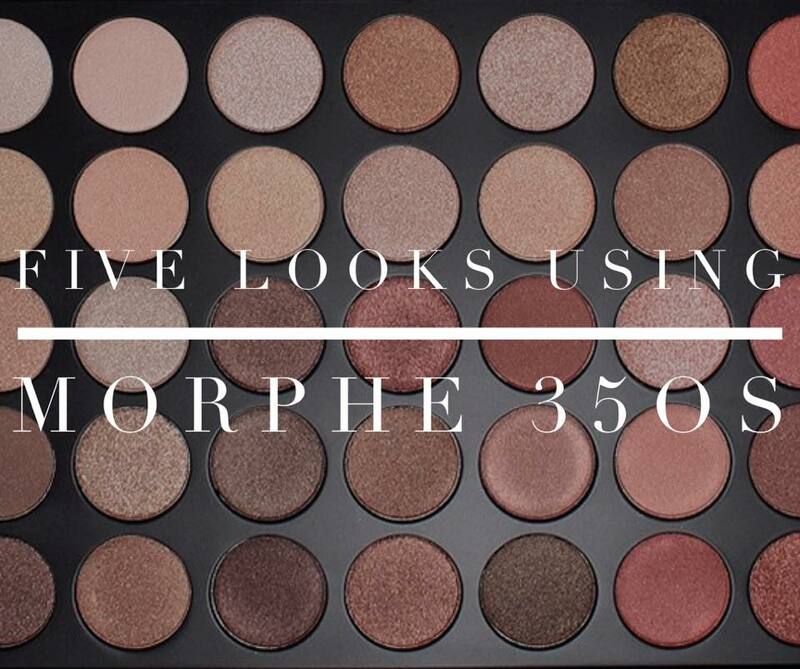 I love Morphe palettes for their pigmentation, blendability, affordability, and versatility. To demonstrate just how versatile they can be, I will be sharing five different eye looks you can create using the Morphe 35OS Nature Glow Shimmer Palette. 1. Begin by blending the 2nd shade on the top row all over the lid and up towards the brow. 2. On a dense brush, combine the copper shade in the bottom right corner and the red shade to the left of it. Gently pat the shadow into the outer corner, creating a sideways 'v' shape. 3. Blend those two shades into the crease, and gently pat a small amount in the inner corner of the eye. 4. Using a fluffy brush, blend the shadow out so there's no harsh line between the shadow and your skin. 5. On a flat brush, take the fourth shadow on the second row down and lightly brush it into the centre of the eyelid. 6. Then go over that shade using the sixth shadow on the third row down to add more of a pink glow. 7. Using a small brush, apply the white shade in the top left corner to the inner corner for a highlight. Then sweep it under the lower lash line. 8. On the outer side of the lower lash line, apply a line of the copper shade in the bottom right corner. 9. On the inner side of the lower lash line, apply a line of the pale yellow shade four shadows in on the second row. 10. Apply a thin line of eyeliner and wing it out. 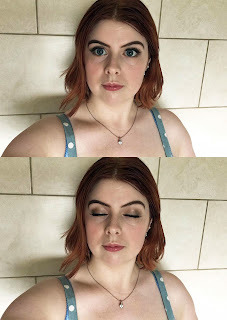 I used the Barry M gel eyeliner. 11. Curl your natural lashes before applying some falsies. I am using the Ardell Demi Wispies. 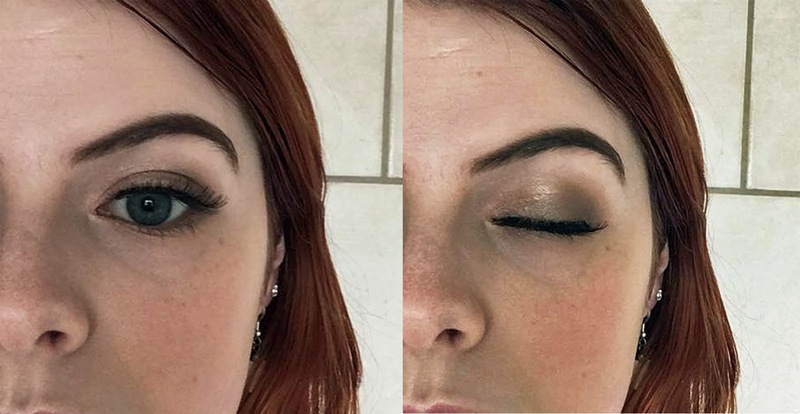 Apply a light coat of mascara, and you're done! 1. 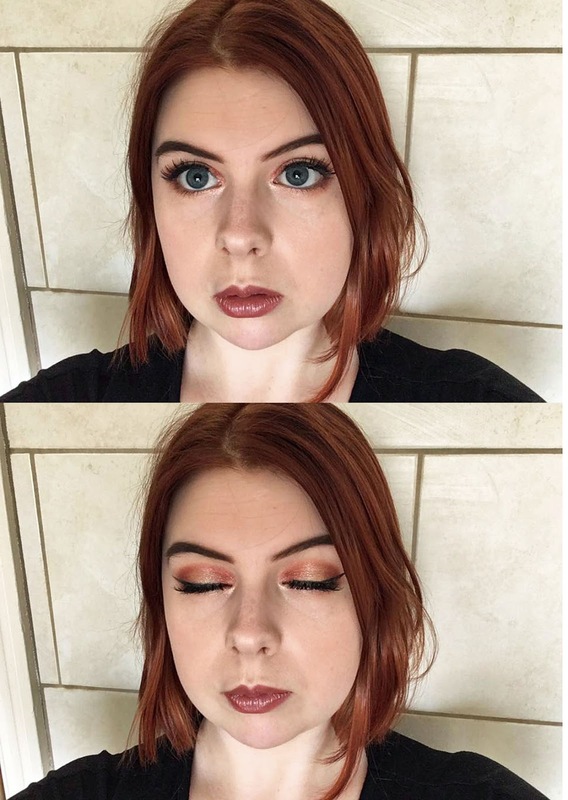 Start off by blending the champagne shade three along the top row of the palette all over your lid and up towards the brow bone. 2. Increase the opacity of this shade on the inner half of your eyelid by packing on a bit more of it. 3. Now lightly add the second shade in on the bottom row to the outer half. 4. Blend the two shades together and blend the shadows out to avoid a harsh line. 5. 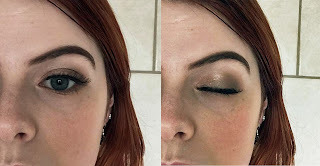 Dust a little bit of the white shade in the top left hand corner in the inner corner of your eye for highlight. 6. Take the champagne shade on an angled brush from before and blend it under your lower lash line. 7. Towards the outer corner, place a bit of the darker shade using an angled brush. 8. Using a brown eyeliner pencil, line your upper lash line for definition. 9. Finish with a coat of mascara, and you're done! 1. 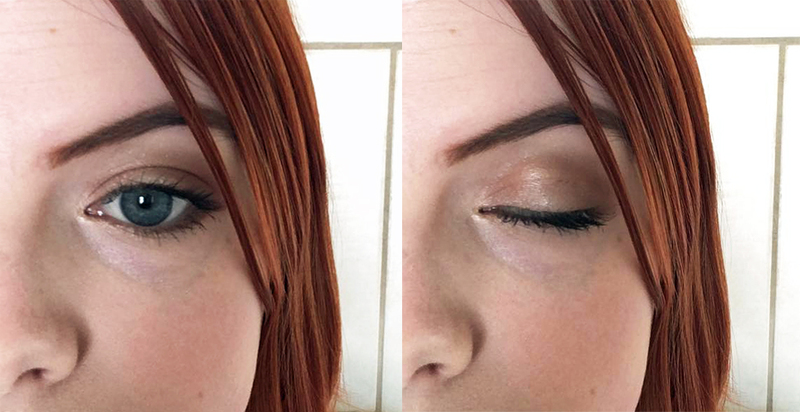 Begin by blending the second shade on the top row all over the lid and up towards the brow bone. 2. Next, take the second shade on the third row and pack it all over the lid. 3. 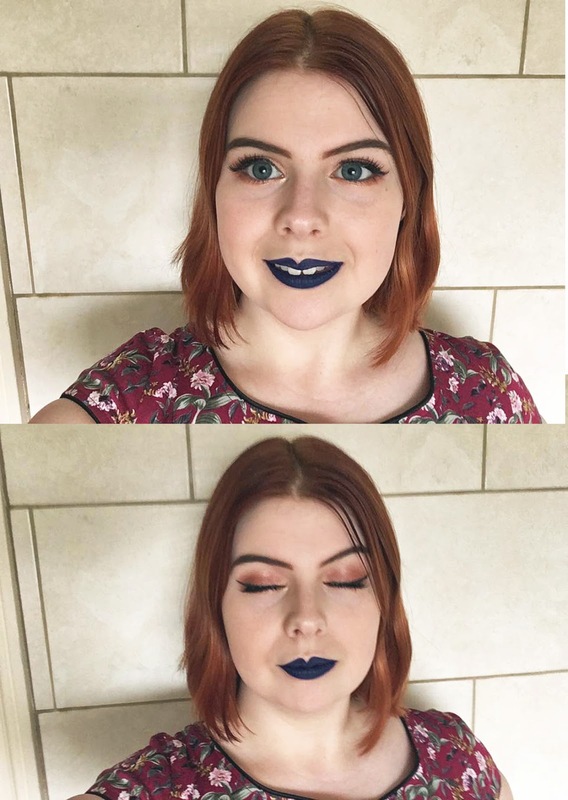 Combine the third shade on the top row and the second shade on the second row on a tiny brush. Blend this in the outer corner, and bring it along the lower lash line. 4. Take the second shade on the fourth row down and place it on the outer half of the lid. 5. 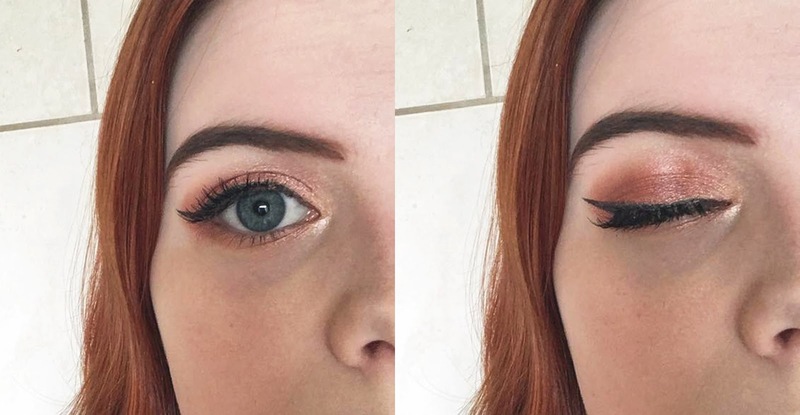 Blend the shades you've applied together, and smudge out the lines using a fluffy brush. 6. Take a tiny amount of the shade from the bottom left corner of the palette, and gently apply it to the outer corner. Blend again. 7. On an angled brush, apply this shade above the upper lash line. 8. Apply some false lashes (I use the Ardell Demi Wispies), and finish with a light coat of mascara. 1. Start off by blending the third shade on the top row of the palette all over the lid and up towards the brow bone. 2. Take the seventh shade on the second row into the crease and blend it into a soft line. 3. Next take the orange shade in the top right corner and blend it over the top of the line in your crease and in the outer corner. 4. In the outer corner, take the seventh shade on the third row and press a little bit of it onto the lid. 5. 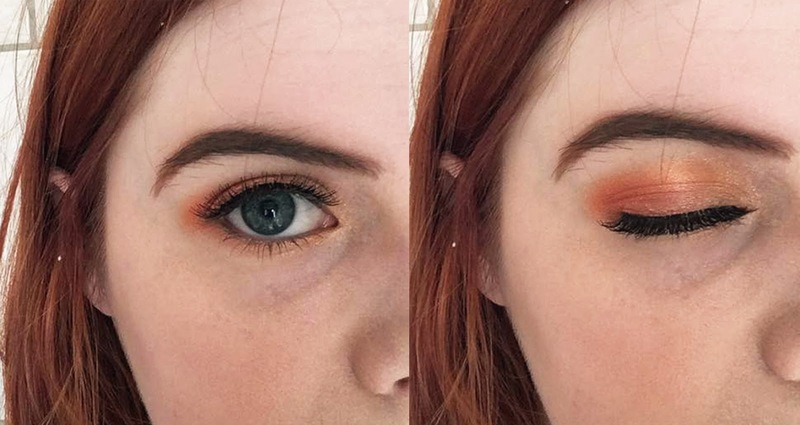 Using a small brush, add some of the sixth shadow on the third row to the inner corner and blend it with the shades you've already applied for a soft gradient effect. 6. Take the orange shade from the top right corner on an angled brush and line your lower lashline. 7. 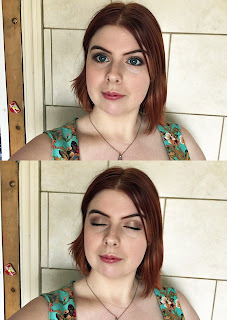 Apply some false lashes (mine are the Ardell Demi Wispies), and a coat of mascara to finish! 1. Begin by using the fifth shade on the top row and blending it all over the lid and up towards the brow bone. 2. Take the sixth shade on the third row and place it in the inner corner. 3. Use the seventh shade on the fourth row and pack it in the inner third of your eye, taking care not to smudge the lighter shade you've just applied. 4. Take the seventh shade on the third row and smudge it into the outer half of your eyelid. 5. In the outer corner, place a little bit of the sixth shade on the fifth row down. 6. On a very small brush, blend the lighter shade you used before under the lower lashline. 7. 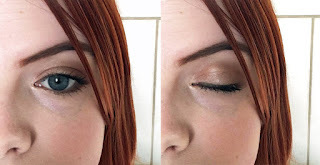 From about halfway along, take the first reddish shade you used under your lower lashline. 8. Take the second red shade and blend it in the outer corner of your lower lashline. 9. Apply a very small amount of the fourth shade on the third row along in the outer corner. 10. Apply some black eyeliner and add a wing. 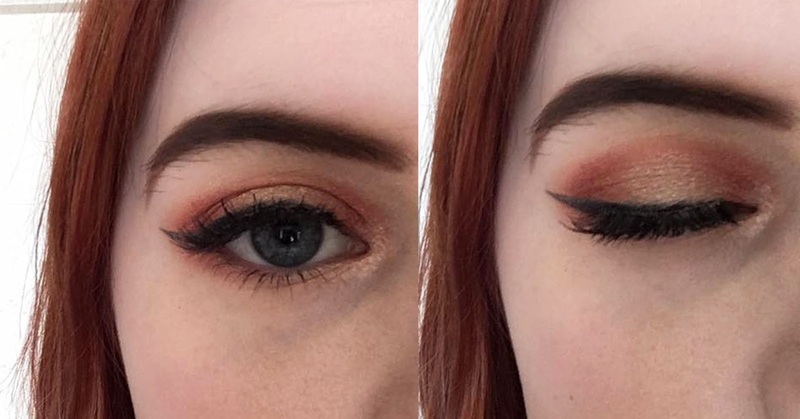 I used my Barry M gel liner in black. 11. 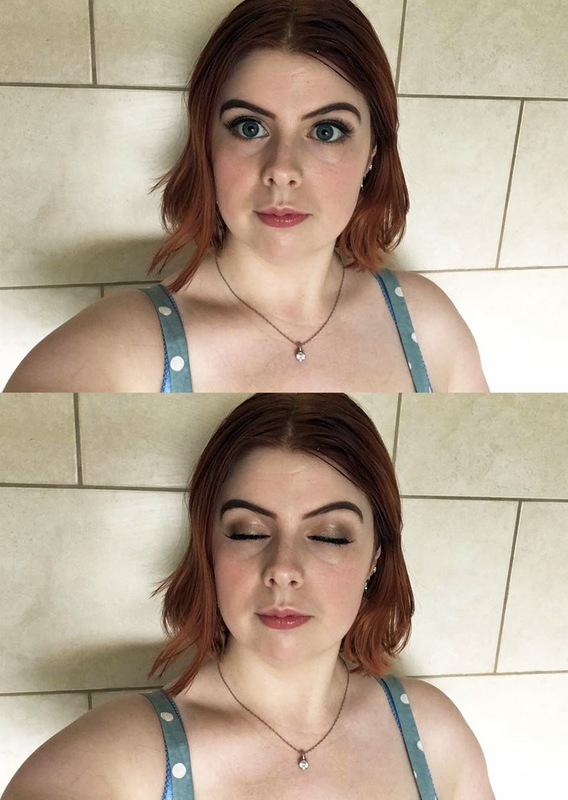 Add some false lashes and a coat of mascara to finish! I'm using my Ardell Demi Wispies. 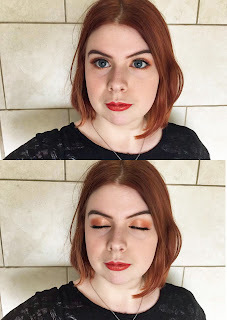 I hope that you've found this post helpful, with tutorials on a range of looks using the Morphe 35OS palette! I've really enjoyed creating this post and would love to do more tutorials in the future. Which of these looks was your favourite?